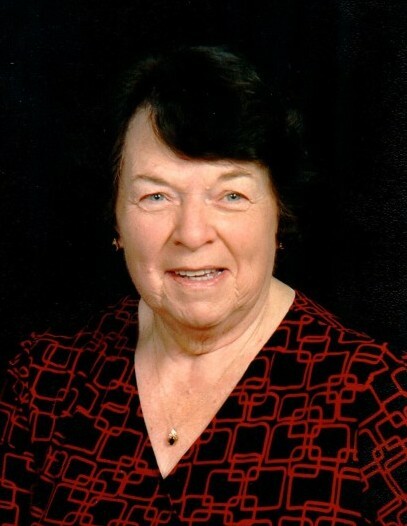 Wilma R. Mehrtens, nee Stilts, 83, of Columbia, IL (formerly of Valmeyer, IL), died August 24, 2018, in Columbia, IL. She was born February 16, 1935, in Arab, MO. She is survived by her husband Dale J. Mehrtens; children Denise (Joe) Leiteritz, Dana (Roger) Sherman, Brian (Robyn) Mehrtens, Suzy (Dennis) Homrighausen, Cindy (Scott) Roever; grandchildren Jacob & Klaire Zollner, Blaise Arriaga, Kristi, Kyle, & Kory Sherman, Annette (Jon Stone) Glotfelty, Elijah, Isaiah, & Josiah Mehrtens, Ryan Homrighausen, Sam, Maddie, & Lillie Roever; sisters-in-law; brothers-in-law; nieces; nephews; & cousins. Wilma is preceded in death by her parents Thomas B. & Effie M. (nee Rowe) Stilts; sisters Irene (Fred) Humpheys, Marguerite (Bob) Whittenburg, & brother Thomas Carroll Stilts. She was a retired teacher for Columbia School District, member of Immaculate Conception Church in Columbia, IL, member of Monroe County Home Extension, Regional Office of Education Trustee, Officer of Monroe County Retired Teachers Assn., Monroe County Fair Superintendent, worked with Domestic Violence Prevention Center, coordinator of Team Quest (Columbia Gifted Education Program), & she was an inspiration for Wilma's Warriors team supporting the Alzheimer's Association.